1 Hurst Court, Ripley, Woking. GU23 6AZ. 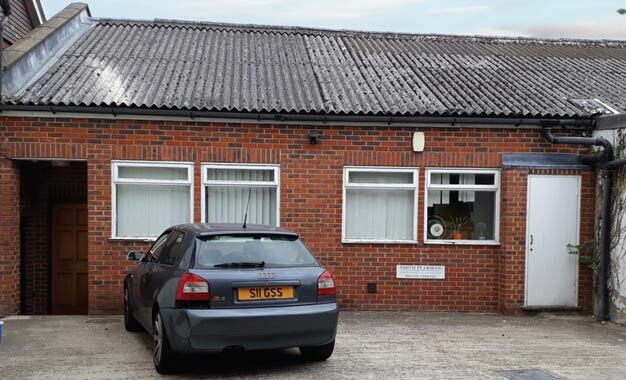 The premises are situated to the rear of Hurst House, which is situated on the south side of Ripley High Street and provide circa 1,110 sq ft of accommodation, together with kitchenette area and w.c facilities. The accommodation is principally open-plan, together with a small partitioned office and storeroom. Ripley is a popular residential and business location, part of which is a designated conservation area. It is well located for access to Guildford, Woking and Cobham all of which are approximately 4 miles distant. Communications are therefore excellent with access to Junction 10 of the M25 Motorway approximately 2 miles distant via the Ripley Junction of the A3 (London to Portsmouth Road). There are local shops and amenities within walking distance.